SKU: NUT3530. Category: Protein Powders. UltraInflamX™ is a metabolic food supplement designed to provide comprehensive support for balancing inflammatory processes within the body. 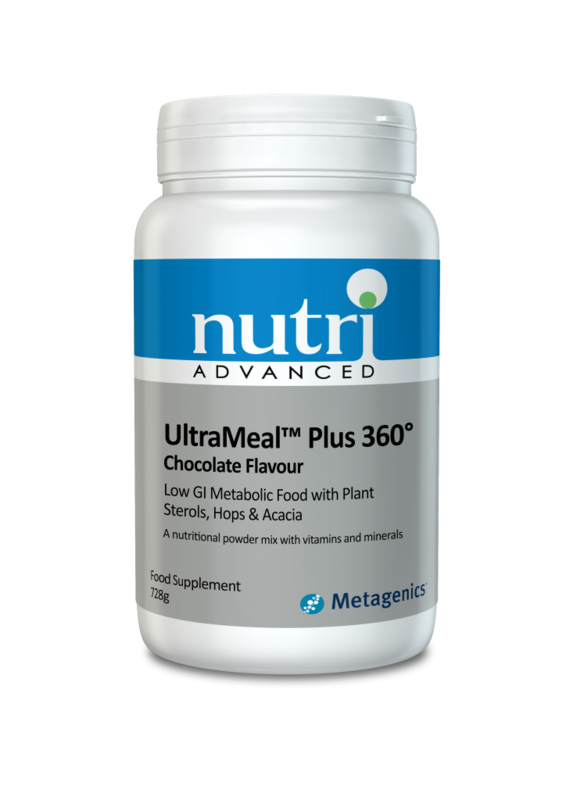 It has been reformulated and is now based on a combination of low-allergy rice protein and pea protein, with added amino acids including l-glutamine and N-acetyl-cysteine (NAC). UltraInflamX™ contains a full spectrum of vitamins and minerals, and now includes the methylated B vitamins. Newly added botanical extracts include green tea, Boswellia, hops, plus citrus bioflavonoids, further enhancing the formula. It is now fructose-free and carrageenan-free. UltraInflamX™ can be used as part of a comprehensive elimination, GI (gastrointestinal) restoration programme, or simply take 1-2 servings per day as part of an anti-inflammatory lifestyle programme. UltraInflamX™ provides a low allergy rice protein concentrate and pea protein that is enhanced with essential amino acids to further increase its biological value within the body. The formula is fortified with added l-glutamine, plus NAC. The herbal extracts within UltraInflamX™ now include turmeric, ginger and rosemary, as well as green tea, boswellia and hops. Citrus bioflavonoids now join the bioflavonoids rutin and quercetin. UltraInflamX™ is a targeted formula that includes curcumin, which is one of the constituents within turmeric. Curcumin helps to support and manage inflammatory processes within the body, and can also help support digestion. Rosemary has traditionally been used to support liver function and digestion, it may also strengthen the body and provide antioxidant properties. Ginger is well-known for its calming and warming effect on the digestive system which may aid digestion. Newly added herbal extracts include green tea (Camellia sinensis) which has antioxidant properties, helping to protect the body from free radical damage. Green tea has a positive effect on metabolism too. Boswellia has been shown to be protective and soothing to the digestive tract and may help to support and maintain the health of the GI tract, along with Hops which has a long traditional use for gut support. The full spectrum of nutrients in UltraInflamX™ include vitamins A, B2, B3 and biotin, that all support the health of mucous membranes. These include the lining of the GI tract. UltraInflamX™ now contains even more vitamin D3, providing 500iu per serving. It is now sweetened with stevia and contains apple pectin as a beneficial fibre source. The new and improved formula no longer contains: carrageenan, fructose, copper, iodine, l-citrulline and d-limonene. UltraInflamX™ comes with a comprehensive guide for use explaining how to incorporate the product into your daily regime. By using UltraInflamX™ as detailed in this easy-to-use guide you may notice improvements in your overall health and wellbeing over time. A slightly different formula is available in Mango flavour. Recommendation: Blend, shake or briskly stir 3 level scoops into 8 ounces of water or juice. Caution: Do not use if pregnant or breastfeeding. If taking any kind of medication or have a medical condition, consult a healthcare practitioner before using this product. This product contains vitamin A. Do not exceed 750µg of vitamin A (as retinol) per day if pregnant or likely to become pregnant except on the advice of a doctor or antenatal clinic. Not recommended for children under 12 years of age unless directed by a healthcare practitioner.